Cedar is spending her second summer as my Hunting Partner and is furiously molting her feathers. This fall will make her a 2x PFRT (Two-time inter-mewed passage female Red-Tailed Hawk). As a falconer, this is a *first* moment for moulting. These feathers are special for a few reasons. 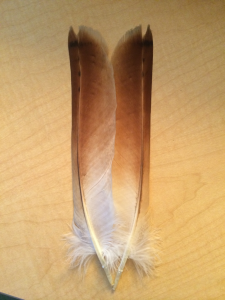 They are adult Red-Tailed feathers that a falconer can ONLY get after the first complete moult. As Cedar is my third Red-Tailed hawk, she is the first bird I’ve kept for more than two hunting seasons. 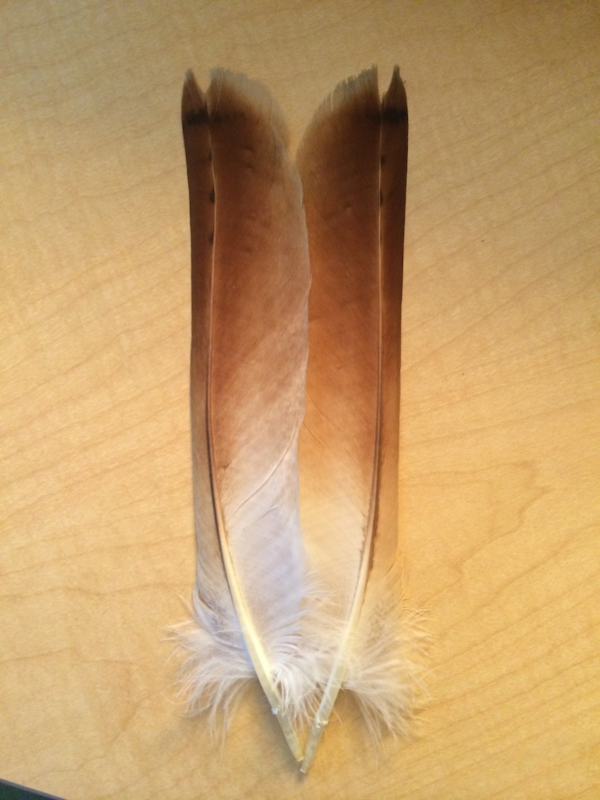 Most falconers have plenty of Red-Tail feathers that are from their immature hawks that moulted during their first summer. At this point, falconers have a decision to make about continuing the partnership for another year. Feathers that are moulted this summer can be saved and used in the event that breakage occurs and are handy to keep around for imping. I’ll post a follow up article in September after Cedar completes her second moult.